One of India's Greatest Scientist, Shri J C Bose's 156th Birth Anniversary today. Railways Minster Suresh Prabhu has said that more women security personnel will be engaged for escorting trains. He stressed the need for better coordination between Railways and State Police in investigation and control over crimes. India's populous cities Mumbai and Kolkata are most vulnerable to loss of life and property due to flooding in the second half of the century, the government has said quoting a United Nations report ahead of a key global climate conference in Lima, Peru. The UN's Intergovernmental Panel on Climate Change (IPCC) has warned against extreme weather events like occurrence of heatwave, heavy precipitation, droughts, floods, cyclones and wildfire that cause damage to ecosystems and human systems in various regions, Environment Minister Prakash Javadekar said. Prime Minister Narendra Modi today announced that his government would utilise land transfer agreement with Bangladesh in a manner that although it might seem to be an immediate loss to Assam, it serves the long­term security interests of the State. Pitching for 'SMART' policing, Prime Minister Narendra Modi today said intelligence gathering is the most vital aspect of the security essentials of the country which must honour its police martyrs and ensure welfare of police personnel. He said, by 'SMART' policing, he meant S for strict but sensitive, M for modern and mobile, A for alert and accountable, R for reliable and responsive and T for techno-savvy and trained. He stressed that security of the nation does not depend on arms but on intelligence gathering. Centre working on a scheme to recruit youth from North-East in Delhi Police, he said. The use of a bicycle pump to conduct laparoscopic tubectomy on 56 women at a sterilization camp organized by local authorities at Banarpal village, about 150 km from Bhubaneswar, has triggered public outrage in the area. Although the surgeon defended the procedure saying that the use of such pumps was not new, it angered the local residents. The government has ordered a probe into the incident. Marathi feature film "EK HAZARACHI NOTE" (directed by Shrihari Sathe) wins special Jury Award and Special centinary Award. 'Leviathan' star Alexel Serebriakov shared the best actor award with Dulal Sarkar of 'Chotoder Chobi'. Both played teachers in their respective films. The award for best director went to Nadaf Lapid for 'The Kindgarten Teacher'. The Lifetime Achievement award was presented to Hong-Kong filmmaker Wong Kar-wai, known for his films like 'In the Mood for Love', 'Ashes of Time' and 'Chungking Express'. Minister for Communications and Information Technology Ravi Shankar Prasad has said that 750,000 km of cable is proposed to be laid over next three and a half years to provide broadband in every village of the country. 40-seater Bio-Bus, the United Kingdom’s first bus powered entirely by human and food waste, has gone into service between Bristol and Bath. Engineers believe the bus could provide a sustainable way of fueling public transport — cutting emissions in polluted towns and cities. Central Reserve Police Force (CRPF) Chief Dilip Trivedi today retired from service, government yet to name successor. US police officer Darren Wilson, who fatally shot unarmed black teenager Michael Brown, triggering nationwide riots, has resigned. Prime Minister Narendra Modi has slipped to the second place in the Time magazine's 'Person of the Year' poll with the Ferguson protesters surging ahead of him in a vote by the readers. Joshua Wong, face of the Hong Kong pro-democracy movement, is placed third. Nobel Peace prize winner Malala Yousafzai (5.3 per cent) and Russian President Vladimir Putin are placed fourth and fifth respectively. Bollywood actresses Priyanka Chopra and Freida Pinto today launched a multi-level global campaign, ‘Girl Rising’, which includes a documentary film featuring the two stars and seven other Bollywood actresses, to spread awareness about importance of girls’ education. Veenapani Chawla (67), an acclaimed theatre personality and founder of the Adishakti Laboratory for Theatre Arts and Research, passed away. Indian shuttler P V Sindhu wins Macau Open Grand Prix Gold. India remain 6th while Pakistan dropped a place to 4th in the latest ICC Test rankings released in Dubai today. 5) arrangement type- people living in different floors. Little confusing..
6) 3 questions were like people living in a hotel.. Q lives for 10 days.. P lives lesser than only Q.. R lives more days than two people and so on..
Hello friends......... I am Pranay Bhattacharya. I want to share my thoughts on Today's (30th November 2014) SBI Associate PO (Morning Shift) Online Exam. The level of the exam was from easy to moderate. English - easy to moderate. We are working on the Current Affairs files of remaining months (including November 2014). You will get the complete set of current affairs pdf files within 2 days. All the Best. Which among the following constituencies has recorded highest turnout in the 16th Lok Sabha Election ? Mukul Rohatgi has been appointed as the ____________ Attorney General of India on 28th May 2014 ? In Nigeria, at least 120 people were killed and 270 wounded when two suicide bombers blew themselves up and gunmen opened fire during weekly prayers at a mosque in Kano. The number of victims of slavery in the UK is much higher than previous figures, the British government said. According to the latest Home Office analysis, there could be between 10,000 and 13,000 victims of slavery in the UK, as against the official figure of 2,744 for 2013. Which of the following banks has recently announced that the bank will try to spend 2% of its net profit for the Corporate Social Responsibility (CSR) activities in each financial year ? India born Vijay Seshadri has won the prestigious 2014 Pulitzer Prize in which of the following categories ? Ryder Cup is associated with ? Friends, the State Bank of India (SBI) has released the final result (written + Interview) of SBI PO Recruitment 2014. As you know, the SBI has conducted Online Exam for the recruitment of Probationary Officers (POs) during June and July 2014. Later it has conducted interviews for the shortlisted candidates in October 2014. Now it has came out with the final results of the same. You can check the Roll numbers of successful candidates for the post of Probationary Officers from the official website of SBI www.sbi.co.in or from below link. The bank has been sending emails / sms with further details to all successful candidates. All the Best. Ending months-long deadlock, the WTO today approved a trade facilitation pact while agreeing to India's demand for continuing the peace clause till a permanent solution is found to the food stockpiling issue, crucial for continuing food security scheme. 24x7 All India Security Helpline for Train Passengers is Operational Now. 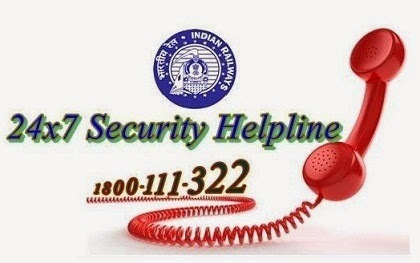 An All India Security Helpline ‘1800-111-322’ has been operational at railway Board to enable passengers to seek security related assistance round the clock. On vulnerable and identified routes/section, on an average 1300 trains are escorted by Railway Protection Force (RPF) daily, in addition to 2200 trains escorted by Government Railway police of difference states daily. All the ladies special trains running in metropolitan cities are being escorted by lady RPF constables to ensure proper security to the lady passengers. How many margins are on a page ? Which key is used in combination with another key to perform a specific task ? Friends, the Karnataka Vikas Grameena Bank (Head office Dharwad, Karnataka) is inviting online applications from eligible Aspirants who have appeared and cleared the IBPS RRB CWE III which was held during the months of September / October 2014 for filling up the posts of Officers (Scale I, II & III) and Office Assistants. 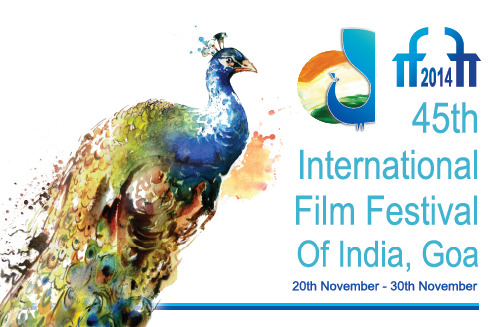 You can apply online from 5th December 2014 to 22nd December 2014. Official notification with complete details will be out soon. Myself Gaurav Adesara From Jamnagar. I Reached Venue at 8:45 A.M. And Exam Started 10:00 A.M. Exam Was Held In Ahmedabad. I Attempted Total 171 Questions With 75% Accuracy. Paper Was Easy Except General Awareness. Fullform of PSDN, PDF, IFSC. World Mental Day Celebrated Which Date? 1st State Who reach 1 crore opening Account Jhan Dhan Yojna. SI,CI,Time & Work, Distance, Series, Ages, Square & Cube Etc. Best Of Luck for those candidates whose examination upcoming days. And Thanks to Gr8Ambitionz who helps me a lot who provides me a lots of daily update current affairs & Banking Terms & Computer Knowledge.